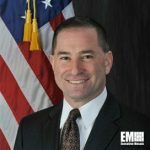 Scott Kaplan serves as chief of cloud security at the National Geospatial-Intelligence Agency and works in the cloud security division of NGA’s Office of the Chief Information Officer and IT Services directorate, or CIO-T. He brings years of information technology, security, operations and business experience to his current position and aims to help NGA secure cloud operations at the agency with DevSecOps methodology. Kaplan previously served as deputy chief of the agency’s cloud security division and before that held the roles of business operations manager and IT and security officer for the intelligence community’s Advanced Campaign Cell. He also led NGA’s Certification and Accreditation Branch where he managed the process for accrediting enterprise, industrial and international programs. Before he became a federal civilian, Kaplan was the lead certification engineer for NGA Industrial and International Programs at Science Applications International Corp. He also worked in aviation, security and intelligence roles at the U.S. Navy and Navy Reserve during his 10-year military career. Kaplan earned his bachelor’s degree in aeronautical science from Embry-Riddle Aeronautical University and a master’s degree in systems engineering from George Washington University. He also holds a Defense Acquisition Workforce Improvement Act Level III certification in IT.